These were found amongst my uncles estate when he passed. 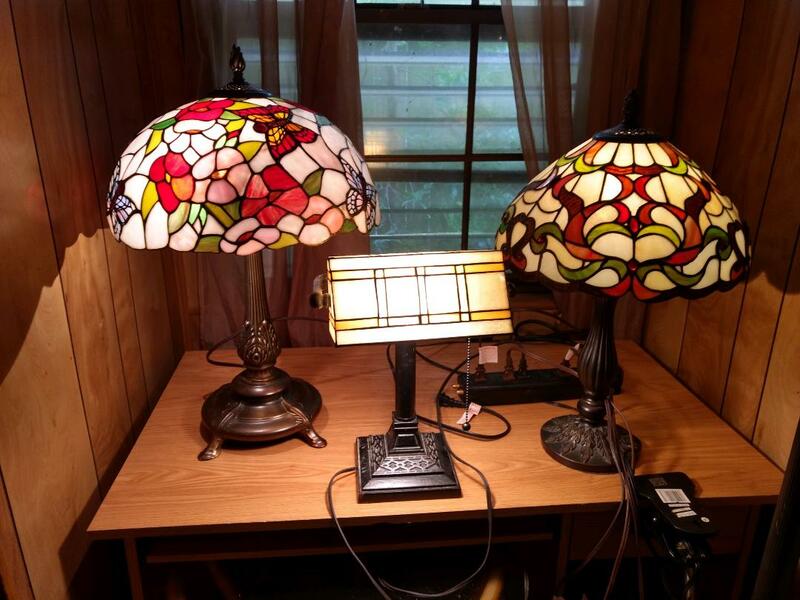 Ii would like to see if anyone has any information on these stained glass lamps. I have searched google and have not been able to find much other than Tiffany. 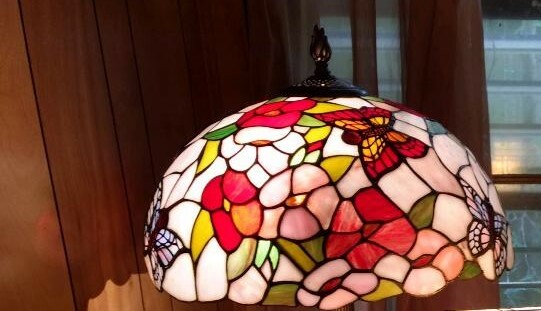 Same type of characteristics of a Tiffany lamp but none really like it. Any info is appreciated.